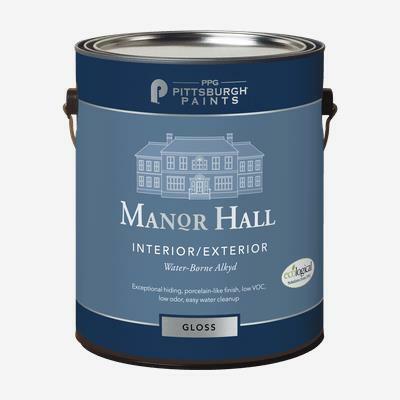 MANOR HALL® Inter/Exterior Latex has a unique 100% acrylic formula that provides exceptional hardness, brushability, adhesion, and scrubbability. Its increased titanium dioxide (TiO2) levels provide unsurpassed hiding on interior trim and cabinets and exterior trim and doors. It is recommended for use on properly prepared and primed interior wood, plaster and drywall and exterior doors and trim, masonry and metal.